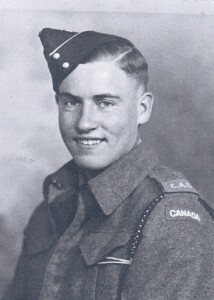 Trp Anderson was born on his parent’s farm near Rockford and attended Rockford and Porters Public School in Townsend He enlisted in Hamilton with the Canadian Armoured Tank Corps and was attached to the Governor-General’s Horse Guards at Toronto. Following training at Brampton and Camp Borden he went overseas in August of 1943 and after spending seven months in England he went to Italy in March 1944 Besides his parents he is survived by three brothers, L. Corp George Anderson, RCASC, overseas for two years; Donald and Reginald at home and two sisters, Mrs Carl Hall at home and Mrs. Kenneth Dawson of Tillsonburg. His brother Lloyd enlisted with the Royal Hamilton Light Infantry and was killed on August 19, 1942 at Dieppe age 26. 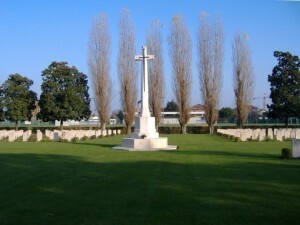 Allan is buried in the Cesena War Cemetery, Italy.